If you’ve never been much of a saver in your life, you’re probably finding that your biggest problem is just getting out of the starting gate. That’s likely the reason why the majority of Americans don’t save money. You get into lifestyle patterns – and not such good ones – that don’t include saving. The only way to get out of that trap is create new patterns that include saving. Once you do, you may find the process is easier to maintain than it is to start. 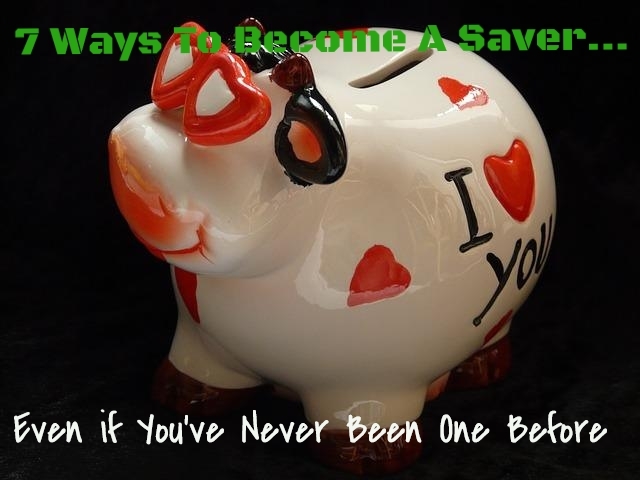 Here are seven ways to become a saver, even if you never been one before. 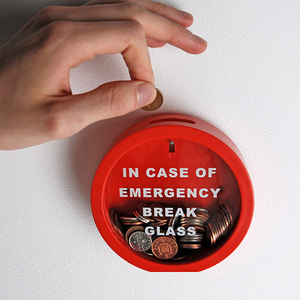 Becoming a saver starts with the ability to live at least a little below your means. The basic idea is to earn say $1,000, live on $900, and have $100 available to put into the bank. Once you establish this pattern, saving becomes easy. Getting to that point though, may not be so easy. You have to either increase your income (more on that later), lower your living expenses, or some combination of the two. It may be a struggle to get started, but it’s really the only way forward. Probably the second biggest reason people never become savers is because their financial attention is fixated on their credit card debt. They assume that there is no point in saving money as long as they have credit card bills. Though there’s some logic to this thinking, it’s hard for people to become savers when they’re focused on paying off credit card bills. The key to the entire conundrum is the word “revolving” – which is the essence of what credit card debt is (the saying in the lending universe is once a visa, always a visa). You borrow money, you pay it back in increments, but as you do you might continue to borrow. That’s the revolving loan Catch-22. While you are trying to pay off your credit cards, you continue to tap them for emergencies primarily because you have no savings to fall back on. Though it can sound counter-intuitive, if you want to become a saver, forget about your credit card debt at least for a little while. Get some savings put away first, and then worry about paying off your credit cards. When I suggest ignoring your credit card debt, I mean ignoring it completely. That means avoiding using it to incur fresh debt. If you’re not going to concentrate on paying off your credit cards, you absolutely must stop using them completely. Bonus: If you don’t use your credit cards, you will eventually pay them off simply by making the minimum monthly payment, or something just a little bit higher. This is another reason why it’s more important to establish savings before concentrating on paying off your credit cards. Your credit card balances will fall – simply from not using them – while your savings increase. That’s killing two birds with one stone. If it’s difficult for you to take money out of your budget and put into savings, you’ll need a strategy that takes you out of the process. By setting up payroll deductions, and directing the money into a savings account, you remove the decision-making process from the flow. The money automatically goes from your paycheck to your savings account, with no further action on your part. There’s a saying, “out of sight, out of mind”, and that’s what you establish when you use payroll deductions to fund savings. The whole process takes place without your even being aware of it. You can do this with a relatively small amount of money too. For example, if you get paid biweekly, and you direct $100 out of each paycheck, after one year you will have $2,600 saved – without your ever much knowing it happened. A lot of non-savers accumulate a lot of money this way. In fact, it’s the standard way that retirement funding works. Banking cash windfalls is a way to fast forward the savings process, especially when this is done in combination with payroll deductions. While payroll deductions are building up your savings slowly, adding periodic windfalls moves you ahead much faster. Plan to bank your next income tax refund check, any bonus checks you receive, or any other windfalls that come your way. This will require a shift in thinking. 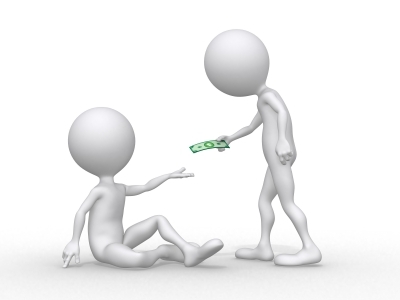 Many people see windfalls as an opportunity to spend money on a needed or desired purchase. Change that thinking to wanting to see your bank account get bigger. And it will – fast. Another way to fast-forward your savings efforts is to create extra income sources specifically for the purpose of saving money. This can be a part-time job, a casual situation (like tutoring or helping a friend with computer problems), taking on overtime work, or even starting your own side business. This can also be at least part of the solution to developing the all-important ability to live beneath your means. If you find it difficult to cover your living expenses, increasing your income can provide extra cash that you need to fill your savings account. Once you have adopted some or all of the steps above, it will be important that you begin to make saving a lifestyle. Everyone is subject to the occasional spending binge, but that’s should never be the normal course in your life. That means that you will have to make saving money your default behavior. By doing that, you will stack the long-term in your favor. You will first accumulate enough money to cover immediate needs, then enough to begin paying off your debt, and finally plenty of extra for long-term investing. That’s a blueprint for financial independence! Are you ready to make that a lifestyle?